Credit: Dave M. Benett/Getty Images. If only Goop had a guide for how to use the N-word. Gwyneth Paltrow found herself in the midst of a Twitter smack down after tweeting "Ni**as in paris for real" in reference to Jay-Z and Kanye West's Paris performance of their uber popular song, "Ni**as in Paris," on June 1. 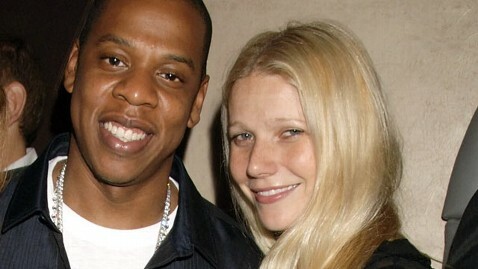 Though Paltrow referred to the song by the same title that it goes by on the hip-hop duo's Grammy-winning album, "Watch the Throne," some Twitter users slammed her for referencing the racial slur. The Dream, a hip-hop singer touring with Jay-Z and West who Paltrow mentioned in her tweet, came to her defense, saying people give the N-word too much power. Paltrow also countered her critics, tweeting, "Hold up. It's the title of the song!" Indeed, it is, but this could really be a good topic for her weekly life advice e-mail newsletter.